‘The Knit Wit – Baby Blankets’ Beautifully made, super soft baby blankets with breathable knitted cellular design to keep your little ones warm and cosy in winter and nice and cool in summer. The special knit fabric allows the free circulation of air and gives the fabric a slight stretch. Imagine wrapping gently around your baby, you can be confident that it allows room for wriggles without the worry of baby kicking the blanket off and getting cold. Handmade in Wales using premium British acrylic baby yarn this beautiful blanket is machine washable at 40° and quick to dry, because busy parents have better things to do! ‘The Knit Wit Baby Blankets’ offer fantastic quality at great value and make lovely baby gifts or additions to your nursery or travel systems. 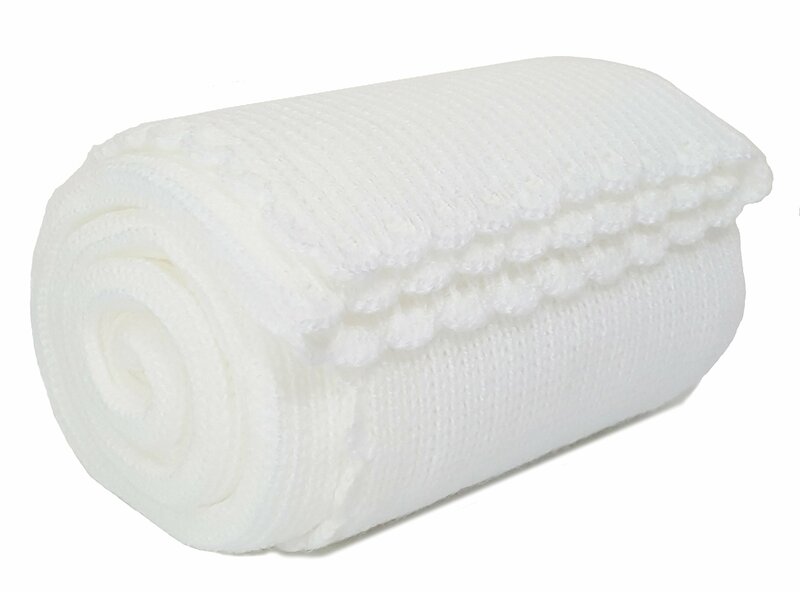 ‘The Knit Wit Baby Blankets’ are available in 3 sizes and in many colour options.